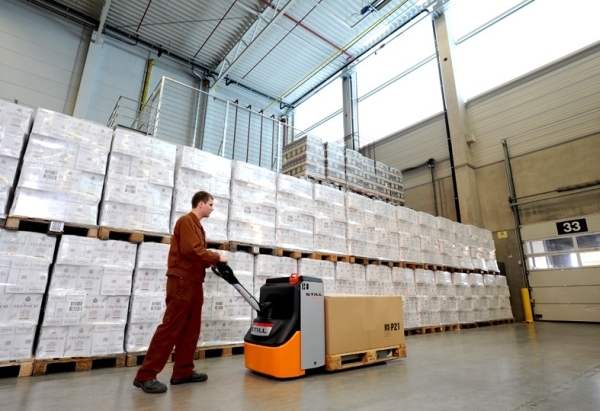 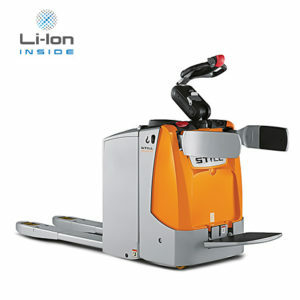 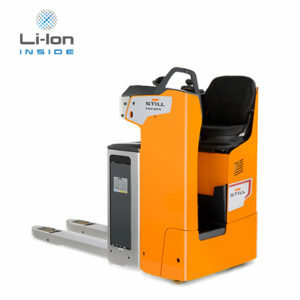 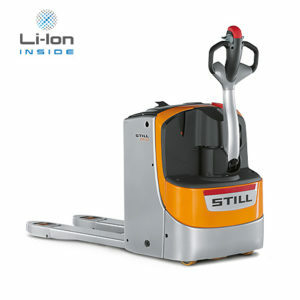 The ECU low lift pallet truck is perfectly suited to the horizontal transport of up to 3,000 kg over short distances. 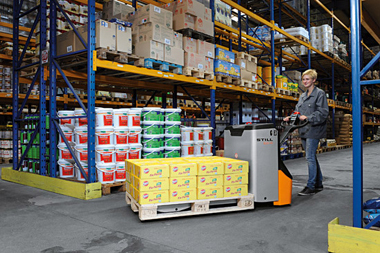 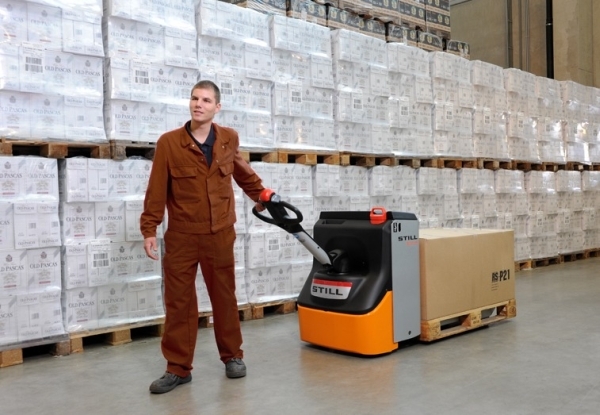 Its compact size and exceptional manoeuvrability make it the ideal warehouse assistant even in confined spaces, for example for the preparation of goods. 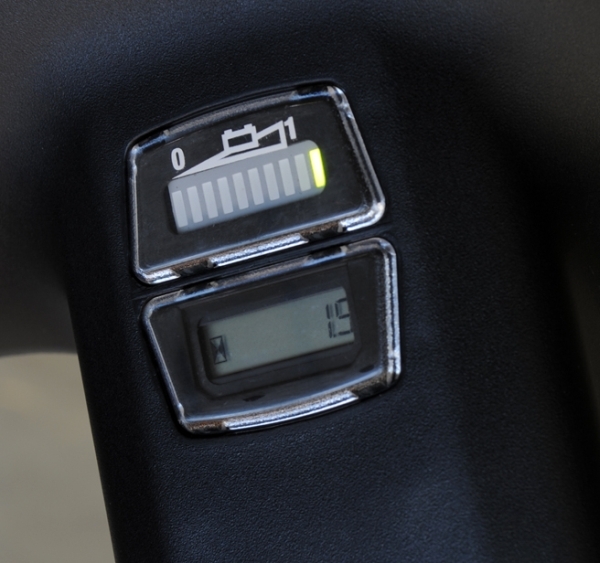 The cleverly positioned creep speed switch is an optional extra that is also of great advantage. 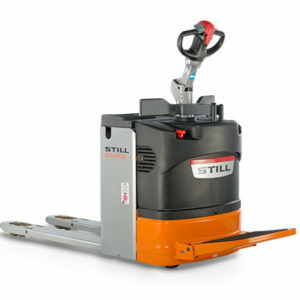 It is located on the tiller head, meaning smooth and precise manoeuvring is possible even when the tiller is vertical. 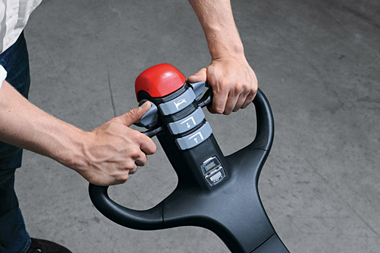 As a result of the well thought-out tiller design and the intelligent arrangement of the control elements, the ECU can be fully operated with one hand, whether the operator is left- or right-handed. 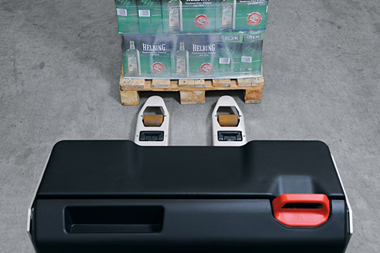 Boasting a chassis made of robust materials, which can withstand even severe impacts without being deformed, and an extremely low-wear drive wheel, the ECU impresses with low operating costs even when in continuous use. 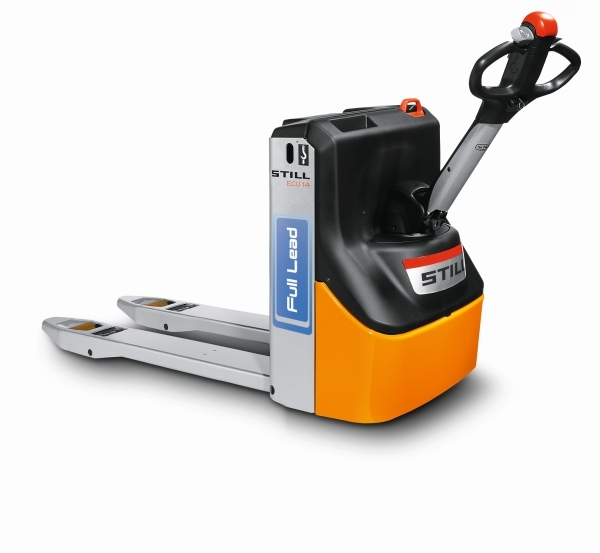 The ECU Full Lead is a real bundle of energy. 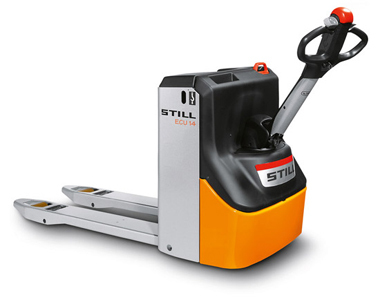 Thanks to its full lead battery, the manoeuvrable pallet truck can be charged up very quickly, and its modern energy source also allows for interim charging. 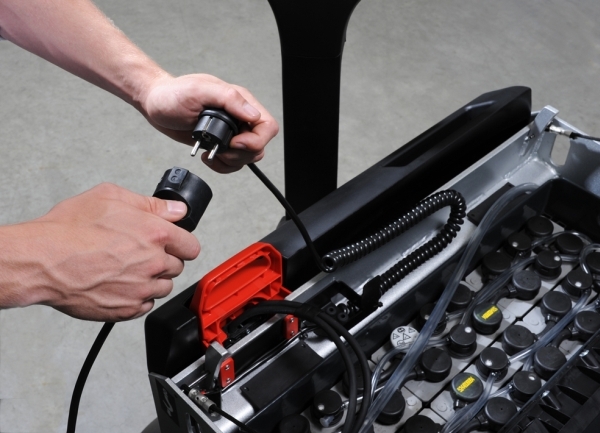 The small size of its battery also means that the ECU Full Lead is particularly compact. 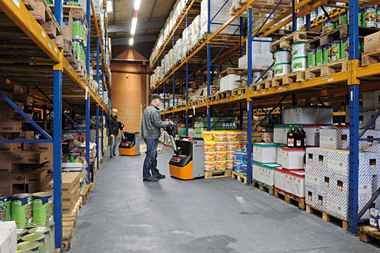 Consequently, safe and precise operation is guaranteed even in confined spaces – whether loading and unloading lorries via a ramp or working in narrow warehouse gangways or supermarket aisles. 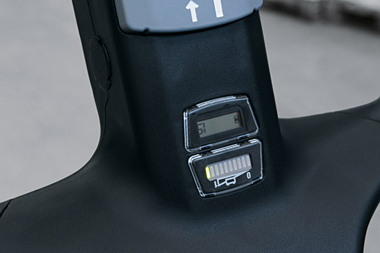 Of course, the ECU Full Lead also comes with all of the usual advantages of the reliable ECU product line, such as the integrated charger, which saves the space and money which would be needed for an external charging station, and the energy recovery when braking.